He followed me home - can I KEEP him?!?!?! This followed me home from the guitar show a couple weeks ago. This brings the number of stringed instruments owned to [mumblemumble]-teen. 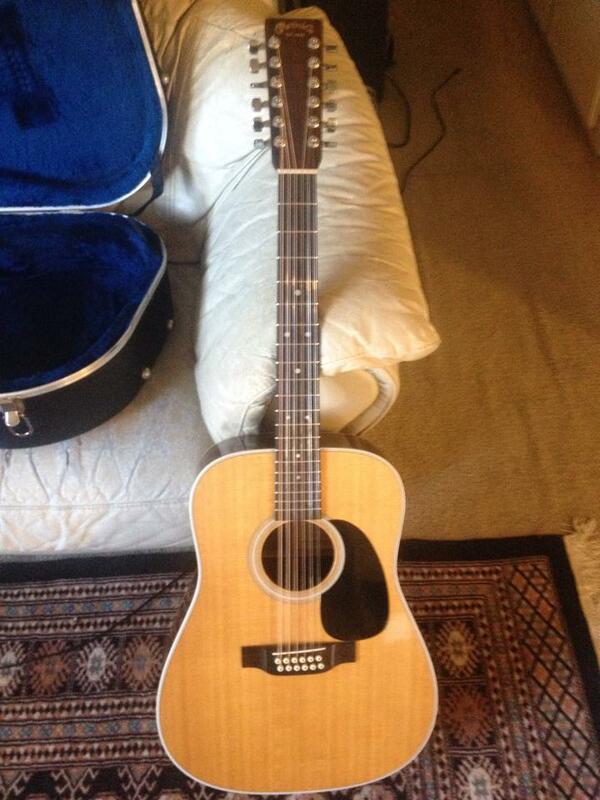 But the main point is I am now a Martin owner. All my guitars, no matter what quality, are treated like beaters. I play them aggressively with picks, finger, screwdrivers, whatever pieces of metal are close at hand; I drop them, knock them in to things, lean them against walls… Having a guitar I should actually take care of requires some serious habit adjustment. Already I’ve caught myself looking for good places to set it down and lean it against before making myself put it back in its case. And wiping the strings and fretboard off. It’s nearly 20 years old and looks brand new; hopefully I can keep it that way. Also, this means it’s time to start recording the stuff I wrote on my old beater 12-string.